On Thursday, August 10th, 2017 the Telluride Adaptive Sports Program will host their first ever amputee basketball game fundraiser, Nothing But Net. This game will take place in the Telluride High School gym from 6pm-8pm, with proceeds benefiting the Telluride Adaptive’s scholarship fund for low-income participants. AMP1, the first organized team of amputees playing stand-up basketball, is coming to Telluride to challenge local community members in a thrilling game. 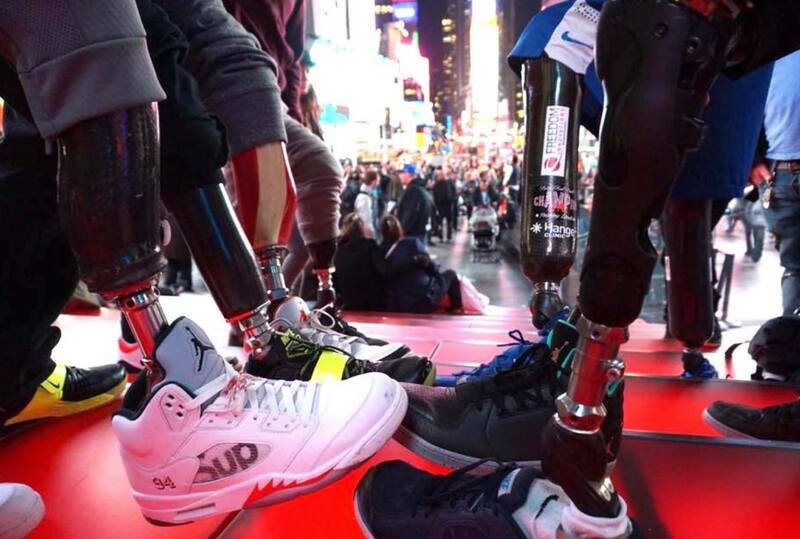 The team members of AMP1 redefine what’s possible for amputees worldwide and travel all across the US spreading awareness and speaking to communities about the importance of sport in their lives. Join us for an exciting half-time show with an adaptive spin, unique and rare auction items, like a signed Clippers basketball and jersey, and an incredible display of athleticism. Entry fee is $10 for adults and $5 for children; TASP and AMP1 merchandise will be for sale during the game. For more information on how to donate an item or service, or for general questions, please call 970-728-3524.